Semper Idem Rendszerfejlesztő és Üzemeltető Kft. was founded on 10 June 1995 with an equity of HUF 5 million. The company is owned by Hungarian private individuals who acquired their initial knowledge and expertise at the software development workshops that were rising to prominence in Hungary at that time. The company’s staff includes software developers, as well as IT operations support professionals (business analysts, programmers, testers, database and system administrators, customer support staff). The company’s business model focuses on the management and implementation of software development tasks in major IT projects—from business analysis to full-scale deployment—as well as on the operation of the resulting systems. 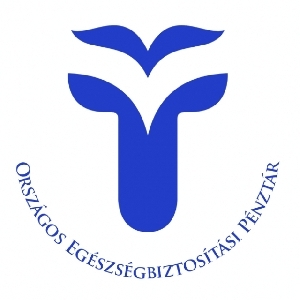 With about 60 employees and permanent subcontractors, our company has become a well-known player on the Hungarian market, and has particularly good positions in the field of agricultural IT. An important milestone in the history of the company was the creation of the ENAR system, a central IT application and database for the individual identification and movement tracking of cattle. Created with Dutch–Hungarian funding, the system is compliant with European Union laws, and was first introduced in public administration in 1997. The system also provides a comprehensive IT infrastructure for the logistics and invoicing involved in the procurement of ear tags for the marking of animals from foreign partners, and their domestic distribution. Later, this persistently reliable and constantly improving system was supplemented with the national food safety system, which supports the tracking of raw materials used in food production from their site of manufacture to the place of consumption. Copyright © 2014 Semper Idem. All rights reserved.